Turn off the TV or radio, and settle in to read. Often we snuggle next to our kids for reading. Make sure that sometimes you sit face-to-face. Your child can learn more from you and the book if he can see your expressions. Show them the cover before reading – ask them to guess what the book will be about. Run your finger along the words as you read – that reinforces that print goes from left to right.Or point to the words that they might recognize as you read. If you’re reading a book that repeats some of the same words on every page (“but where’s the cat?”) point them out on each page as you go along. Define new words and explain new ideas as you come to them. If a book has no words, or you don’t like the words, make up your own! Tell a story based on the pictures, or point to pictures on a page and ask your child to tell you what’s happening. Make it sound dynamic: Use different voices for different characters; read at different speeds (some stories are slow and gentle, others fast and rollicking); play up the emotional tone – are characters happy? Scared? Silly? Angry? Show it with your voice. Try singing a book. Some books are perfectly designed for singing. Ask questions about what’s happening in the story, ask how characters are feeling, ask them to guess what will happen on the next page. Later in the day, ask them about the book you read, and talk about experiences your family has had that are like what you see in books. Think of a book as a conversation starter. Beyond what’s on the page, you can ask about other things in the book, or help your child connect what’s in the book to her everyday experiences. 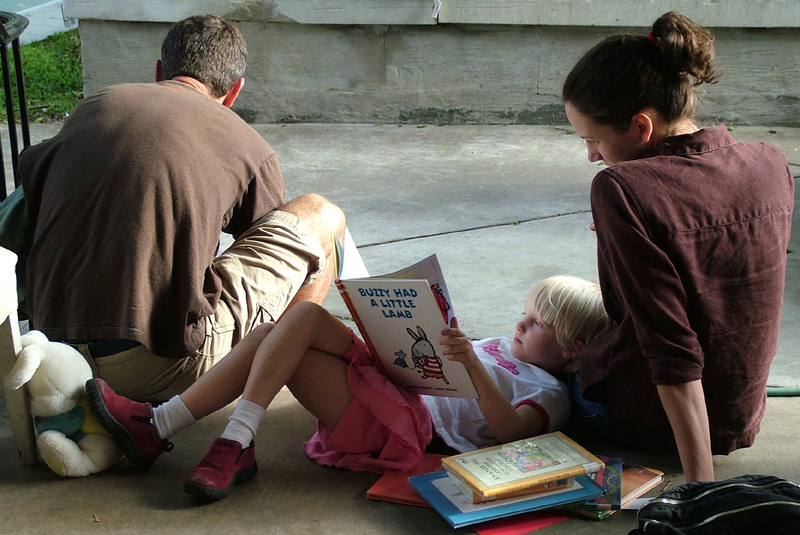 It’s OK if toddlers wander around while you read – they can still listen while moving. Enjoy reading – let your joy shine through! This entry was posted in Child Development, Language & Literacy and tagged book, early literacy, preschool, read, toddler on April 29, 2014 by Janelle Durham. At one year old, your child might understand 50 words and say a few. Around 20 – 24 months, he may understand 150 – 200 words, and speak 50 – 150. Somewhere in the period, he’ll have a huge growth spurt in language knowledge, called ‘fast mapping’ where he may learn up to 8 words a day! By 24 months, she speaks 250 words. She can answer some questions, ask questions, name many familiar objects in the house, and can ask for what she wants. By 30 months, he understands 500 words. Speaks 250-500, saying them more clearly so others can understand. Uses 2 word sentences. Can begin to talk about how he feels. By 3 years, she speaks in full sentences. Begins to figure out grammatical rules. By kindergarten, children may know 10,000 words. 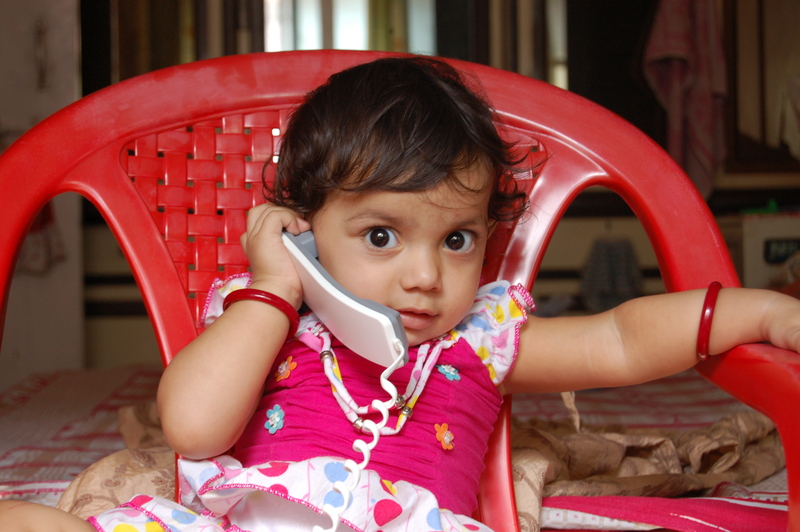 How to talk: When speaking directly to a baby or very young toddler we use “parentese”, also known as “baby talk”. We establish eye contact, slow our speech down, simplify language, and vary our tone a lot, in a bright, happy, sing-songy voice. This makes language very interesting to the child, engaging, and emotionally satisfying. As the child gets older, we still use aspects of this, but we shift gradually over time to a more mature way of speaking, with full sentences and more complex vocabulary. Use lots of details, but keep sentences short and simple. Repetition reinforces new words. Some parents just throw language at kids: “Look, over there is a window. Outside, I see blue sky, and trees, and birds. Next to the window, there’s a bookshelf. There are red books and green books…” The more effective parent notices that their child is reaching for a crumb on the floor and talks about that. When a dog barks and the child looks up, the parent says “Did you hear the dog bark? I did too.” Timing is essential – make sure you’re talking about the thing they are currently focusing on, not on what held their attention 30 seconds ago. As our children begin to communicate, they need us to show that we are listening and responding. Who talks to your child? Research has shown that if only one person says a new word to a child, even if they say it many times, the child might not learn the word. If multiple people say the new word to the child, even just once each, the child learns the new word. So, try to expose your child to multiple speakers. When you say “You have a toy. Can you give me the toy? Thank you for giving it to me.” you have just illustrated verbs (have, give, and giving), pronouns (you and me) and that you can use the indefinite article “it” to refer to a toy. That’s a lot of language learning, but it works because it’s a natural, easy follow-able flow of thoughts. Variety in speech is great, but be careful not to go too far. Say nursery rhymes together, make up new verses. As your child gets old enough, have him make up rhymes of his own. Sing songs. This is a great way to build vocabulary through repetition. Play telephone – pretend to talk to each other on the phone, taking turns in conversation. Pretend that a toy or stuffed animal is talking to your child. Encourage him to respond. 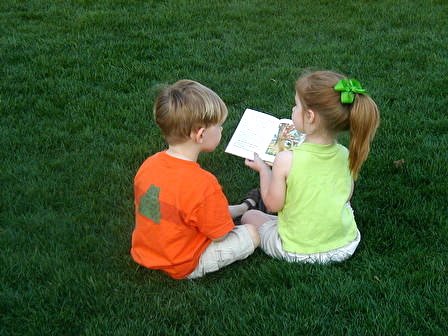 Ask your child to tell you stories about her day, or re-tell the storyline of her favorite book. Emotion coaching includes labeling emotions. As a child gains words to describe his feelings, the feelings can seem more manageable. Curious about raising bilingual children? Check out yesterday’s post. Read about Responsive Language with your child to boost their language learning. This entry was posted in Child Development, Language & Literacy and tagged language development, teaching, toddler on April 23, 2014 by Janelle Durham. One Person, One Language: each parent or caregiver consistently speaks only one language to the child. For example, mother speaks only Mandarin to the child, father speaks only English. Or Grandma speaks only Russian while other family members use English with the child. Family Language at Home (also called minority language at home): family members all speak their family language. The child will learn the community language later, as she goes out into the community, attending preschool, kindergarten and onward. Foreign Language Child-Care: some families hire an au pair or nanny who speaks a different language from the family, others place the child in a child care setting where another language is spoken. Exposure to Other Languages: some families dabble in languages, perhaps teaching the child how to count or name animals in another language. They may read books, watch videos, or sing songs in the other language, or use it in occasional conversation. They may seek out language based playgroups. So, if you’re just offering occasional exposure to other languages, where they don’t need to use the language in return (for example, reading books or watching videos) they will likely have only a basic familiarity with the sounds of the language and the ability to say a few words. If a child is exposed to several hours of engaged interaction each week, where they are motivated to communicate with the speaker, like at child care or via one-on-one care by a nanny or an extended family member, they may learn to carry on basic conversations. If a child is immersed in a language for more than 30% of his waking hours, he is likely to become completely fluent in that language. Interacting with more than one person in that language will build his skills, so many parents seek out language-based playgroups, story times, and other activities so the child can interact with other adults and with other children in that language. Is it a good idea to start a second language early, or is it better to delay? Babies are born with billions of neurons (brain cells). They spend the first few years of life building trillions of synapses (connections) between those cells. For language especially, these first few years are the most “sensitive period” in their lives when they are primed to learn language. At 6 months, human babies are able to differentiate between any sounds that human beings make. But as children age, they begin to “prune” some of the synapses they’ve built. Connections that are important get reinforced, but things which they aren’t using in everyday life may get cut. So, by 11 months, a mono-lingual baby no longer hears differences that aren’t important in his family’s language. For example, a Japanese child can no longer hear the difference between ra and la, because it’s irrelevant in the Japanese language. If a child is raised bilingual, it extends the learning and pruning period: at 11 months they can still distinguish between all sounds. By 14 months, they recognize all the sounds that are important to both their languages, but don’t distinguish other sounds. Are there disadvantages to learning two languages early on? If only the family language is spoken at home, and the child has minimal exposure to the community language before starting preschool or school, it’s not unusual for her to struggle a little in the first few months of school, but usually within 6 – 9 months or so, she catches up to the native speakers. If the family speaks multiple languages, the child will of course sometimes make mistakes, like asking “Where you are?” instead of “where are you?” or calling something by the wrong name. This is not much different than the mistakes a mono-lingual child makes, like calling a cow a sheep, or saying “I have one books.” Children outgrow this. Bilingual children may also mix multiple languages into one sentence, especially when they know that the person they’re speaking to knows both languages. When they’re speaking to a mono-lingual person, they’re more likely to stay in one language. Bilingual children may seem to know fewer words, and be slower in language development (perhaps 3 – 6 months behind peers in either language). However, if you add together the words they know in both languages, the total is almost always higher than it is for those who speak one language. If you’re worried, here are a few red flags to watch out for: less than one new word per week (in either language) for 9 – 15 month old children; less than 20 words (in two languages combined) by 20 months; no word combinations (like ‘red ball’ or ‘give cookie’ or ‘see doggie’) by age 2 – 3 years. Are there benefits to learning two languages early on? Early childhood is the easiest time to learn multiple languages. Speaking the language of his heritage can help connect him to that history, and to his extended family. Knowing multiple languages can help your child in school and in her future career in our increasingly global society. Multilingual children have been shown to be better at problem-solving – they are more flexible thinkers. They are also better at filtering out distractions and concentrating on the task at hand. Knowing multiple languages may help them feel at ease in different environments. Being aware of the need to adjust their language depending on whom they’re speaking to may increase empathy overall. Want to learn more about language development and how to encourage it? Look here. This entry was posted in Language & Literacy and tagged bilingual, children, language, parenting on April 22, 2014 by Janelle Durham. 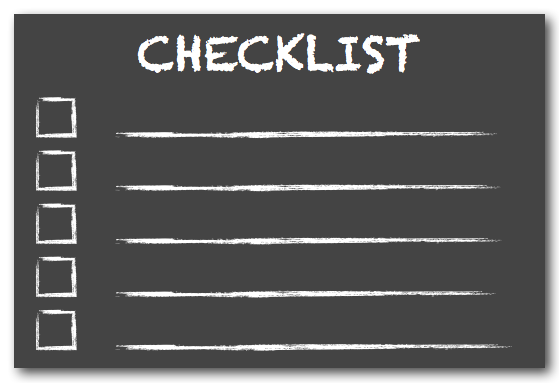 Before you start looking at options, think about your “must haves” for preschool. It’s important to start here, because otherwise you might fall in love with a program and then discover that you can’t possibly make the logistics of it work for your family. Do you need your child to be cared for several hours a week while you work? If so, you may really be looking for child care. Some child cares offer a preschool component, but if your child is there for 6 hours a day, 5 days a week, you don’t want all structured time. Children this age need a mix of structure and free play and down time over the course of a long day. If you are primarily a stay at home mom, you may only need a few hours of child-free time a week, and may just be looking for a very part-time preschool for enrichment. You may choose a few hours a day, few days a week program. Note: sometimes names are misleading. Some things called “preschool” do not offer learning experiences. They may be a day care that knows parents pay more for the name preschool. Schedule: What do you need/ want? How many days a week? Number of hours per day? Extended care? Do you have specific days of the week you must do? Absolutely can’t do? Or are you flexible? What time is the earliest you could be there? What time is the latest? Location: How far are you willing to drive two to three days a week? How far is your child willing to be driven? (Some parents find the “perfect” preschool a long drive from home, and only later realize that it’s not so perfect if they have a child who hates to be in the car!) What will you be doing while your child is at preschool, and would it be convenient to get back and forth to there in the time your child is at class? Is the location convenient for other family members / friends who might occasionally do drop-off or pick-up duties? Potty training requirements: If you’re looking for a preschool that will start several months from now, it can be hard to predict what your child’s needs will be. As a general rule, the majority of 2.5 year olds are not potty trained, so if you want to start preschool young, you may choose a preschool that doesn’t require this. The majority of 3 year old girls are potty trained (though not all), so it might be a safer bet to choose one that requires it. With boys, it’s less likely, so again, you might err on the side of assuming your son won’t be. Parent Involvement: Do you want to volunteer in the classroom? Would you want to visit your child during the school day? Do you want communication from the school about your child’s day? In what form? What are your goals for enrolling your child in a preschool? Before you start asking for recommendations or before you start looking at schools just because someone else said it was great, spend some time thinking about your goals. What do you hope your child will get out of preschool? Look at the list of essential skills: where do you think your child most needs to grow? What are the things you feel least confident providing at home? What do you think will engage your child the most? At every step of my daughters’ schooling, one of my goals was to choose a school that would preserve their love of learning. All babies and toddlers LOVE to learn new things… but sometimes a bad school experience can lead a young child to decide “I hate to learn” or “I’m bad at learning things” and it’s hard to recover from that. Each time my girls moved up to a new school, I wanted (and was lucky enough to find) schools that honored their passion for learning. It was actually the final deciding factor for my oldest in choosing a college – she chose the place where everyone she met on campus was passionate about learning – there were hugely excited about ideas and geeked out about everything from Dr. Who to the physics of musical acoustics. In evaluating your goals, don’t just think about what you want your child to get out of it. What do you want to get out of it? Do you want to meet other parents? Choose a co-op program. Want to learn more about parenting skills? Choose a program with a parent ed component. Want a few hours a week when you’re not responsible for your child just so you can relax? Choose a drop-off program that has activities you enjoy nearby. Want your child to be exposed to nature but you’re an indoor person? Choose a nature preschool. Note, if you’re having a hard time coming up with goals / reasons to send your child to preschool, you may want to check out this post on whether preschool is necessary for your child. This entry was posted in Child Development, Early Learning / Preschool, Language & Literacy and tagged child care, choosing preschool, preschool, toddler on January 17, 2014 by Janelle Durham. 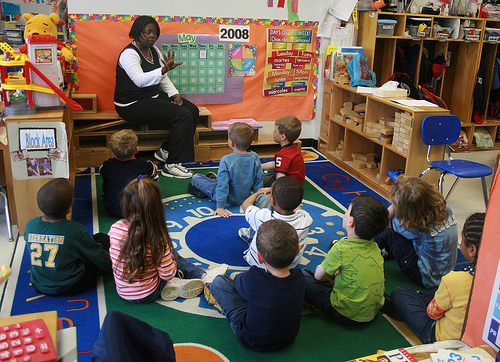 Is preschool necessary for all children? Over the next few days, I will be posting articles about how to choose a preschool. I recently heard of a story of a mom who wasn’t feeling ready to send her just-barely-three-year-old child to school yet, but felt like she needed to put him in preschool so that he could learn what he was “supposed to learn”. This mom didn’t feel like she had enough to offer her child, and feared she wouldn’t “do it right.” When she asked her friends for recommendations, all the programs they recommended were 5 days a week. She couldn’t imagine her child doing well with that much time away from her. She was struggling to decide what to so. It’s important to realize that the learning needs of a preschool age child are really pretty simple and manageable for most adults to meet. Preschools don’t offer some magic formula for future success that the average parent can’t duplicate at home. However, middle class children of educated parents will typically receive in their home environment the stimulation and guidance they need in order to be ready for kindergarten when the time comes. Parents can ensure this readiness by paying attention to the essential skills listed in my last post and helping their children build them. Thinking of everyday life as a learning opportunity helps you to keep an easy focus on skill-building. Many of these skills can easily be learned from family members at home – set up a craft zone to practice with all the school supplies, read books together, practice independence in dressing, feeding, and so on. Other skills build by family trips out in the community – there’s a lot of math to be learned by watching you cook, lots of science to learn in a trip to the pet store to pick up dog food, tons of vocabulary in every trip to the store, and lessons in patience and self-control at the sushi-go-round. Social skills and conflict resolution get put into practice during a trip to the park or an indoor playground and sitting down in a group and paying attention to an adult is the heart and soul of library story time. Times when your child is cared for and must obey an adult other than a family member. But this doesn’t have to be a preschool teacher. It could be a babysitter, or a Sunday school teacher, or gymnastics coach, or almost any other caring authority figure. So, if you think your child is ready for preschool and would enjoy it and benefit from it, great! If you’re ready to send your little one off to preschool, great! Over the next few days I’ll be posting information about how to choose the program that is the best possible fit for you and your child. And you could still do all the things I describe above to support your child’s learning and they’ll benefit from that as well. But, if you’re not ready to send your child to preschool, or you feel your child is not ready, hopefully this post relieves a little of the pressure you might be feeling about “needing” to put your child in preschool. Having more time with you, as their own personal, loving, one-on-one coach in life skills could be exactly what you both need for now. This entry was posted in Child Development, Early Learning / Preschool, Language & Literacy and tagged home school, preschool, toddler on January 15, 2014 by Janelle Durham.